Always serving luxury with a wink, The Cosmopolitan of Las Vegas provides an exceptional array of unique and upscale summertime experiences at its Pool District. Now through Labor Day, resort guests and Vegas locals alike can “dive in” to one of The Strip’s most unique summer experiences at the resort’s Boulevard Pool. 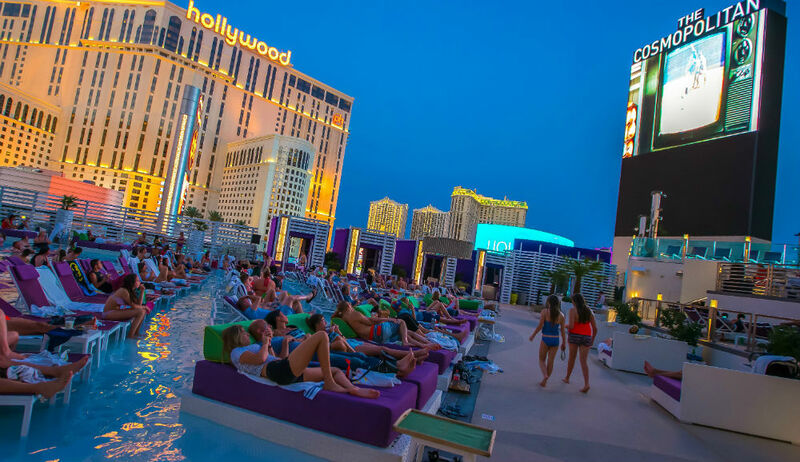 Every Monday starting at 7 p.m., The Cosmopolitan hosts its exclusive Dive In Movies where guests can take in sweeping views of the city while enjoying cult classics played on the resort’s 65-foot digital marquee above Boulevard Pool. Family-friendly options are few and far between on the Strip and this event is perfect for all ages, so be sure to bring the kids along for the ride! As for the lovebirds out there looking for a romantic summer date…you are in luck too! Dive In Movies opens at sundown, so couples can enjoy the sunset and stars in a comfortable, intimate atmosphere. A full line-up can be found at www.cosmopolitanlasvegas.com.